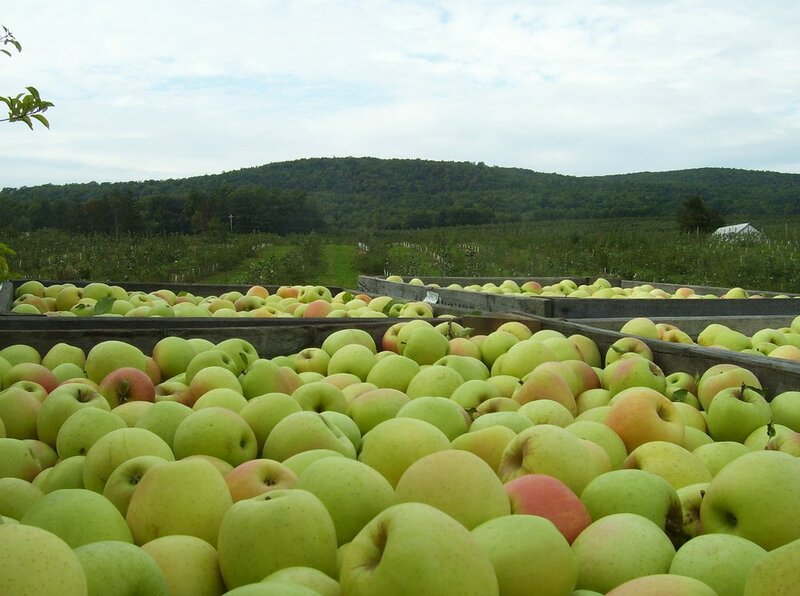 You may not know when you pick up a Pennsylvania apple at the grocery store, but we'll tell you it's a fine example of our local agriculture. Here, our farms are family owned and operated with great care, plus our apples are grown on trees rooted in some of the naturally richest soil in the United States. (Thanks, aging Appalachian mountains!) For a guaranteed great experience in getting exactly what you want, though, come see us. We have a little pride in our product (just a little - hint hint) which makes us even happier when you come out to visit. What do we have here for you? How about a beautiful barn on a picturesque farm, and more than 30 varieties of apples. Just a few, you know, to get started on finding the perfect match for your tastes! Most sweet apples are best for eating, since they have no tartness to stick around once their sugar is subjected to cooking. Ranging from a soft sugary slurp to a juiced crunch, you'll be glad these skipped a trip in the oven before meeting your mouth! But don't sell all sweets short, some have their place in your sauce and baked goods. These apples are the all-stars of the apple world. They have a thorough understanding of sweet but clearly dabble in tart territory. See their descriptions for where they've weighed in on the balance. These apples of a puckering pedigree are cemented in sour. They might play with mildly sweet undertones, gentle warmth and roundness of flavor, or pack a clean punch of potent tart. Either way, these don't forget who they are when sauced or baked. Small and tender, but packs a spicy-tang that goes great with sauce and pies. Juicy tang with a touch of sweet, a cooking "all-star"